Green walls and facades are usually associated with the external faces of multi-storey apartment or office buildings in cities. 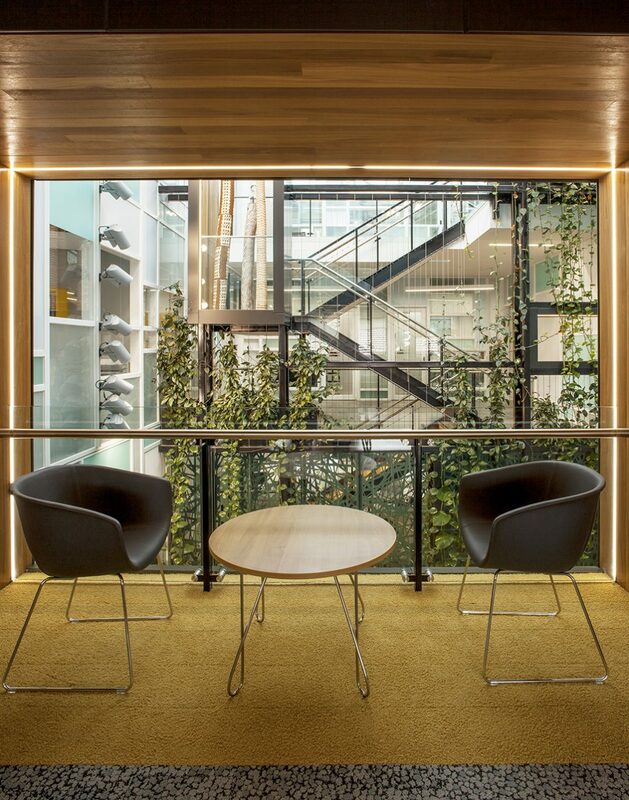 However, indoor green walls are also becoming a popular way to introduce nature into urban environments. 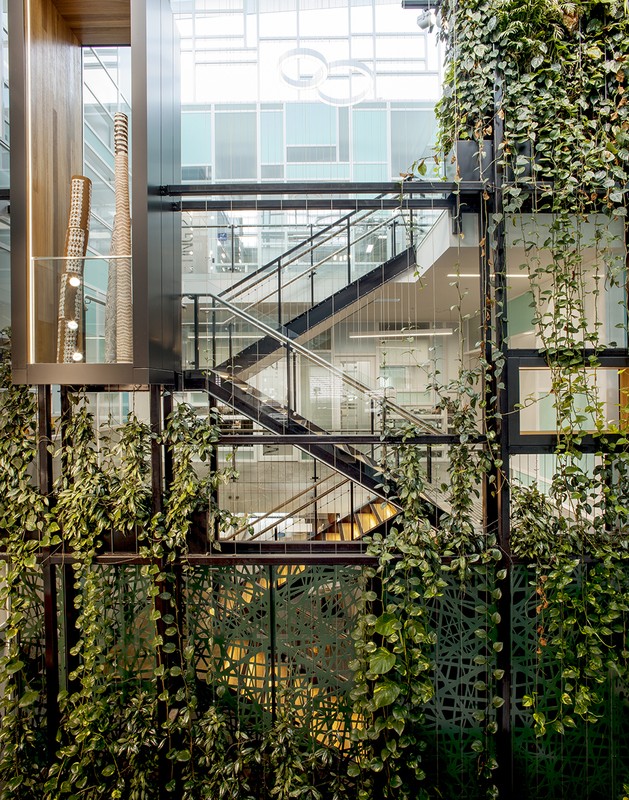 Indoor green walls are like indoor plants – with a difference. Rather than having plants in pots or containers along the floor or on shelves, the greenery is suspended in the air, supported by cables or a trellis-like structure. Reduced blood pressure, muscle tension and pulse rate. Improvements to emotional state and mood, and an enhanced sense of wellbeing. Green spaces can also facilitate the “direct attention” required for focusing and working on tasks, in turn improving cognitive performance and productivity. At the Stonington City Council main office building for example, a three-level green wall and facade has been installed for the purpose of reducing indoor pollutants and improving air quality and staff wellbeing. Sleek stainless-steel cable balustrades support the greenery, providing the necessary strength for the plants while maintaining a light, airy look and feel. The species grown on external green walls may not be suitable for indoor green infrastructure. The plants may also have different needs for nutrition and water, and artificial lighting may be required to compensate for the lack of sunlight. If you are interested in installing an indoor green wall in your building, get in touch with us for a discussion on the right design and plant selection. 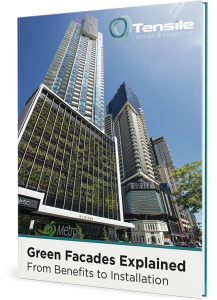 Adoption of Green Facades: Where are They Being Installed?